"Light is one of God’s greatest gifts. It is no accident that the first words of God recorded in Scripture are, 'Let there be light.' The very first thing God created to overcome the lifeless chaos described in Genesis 1:2 was light—glorious, life-giving, order-making light. Everything that follows in God’s great creative acts is possible because God first created light ... This makes me think of Jesus’ claim, 'I am the way and the truth and the life' (John 14:6) ... Let’s recall that the One who called Himself 'the light of the world,' is the one we celebrate on Christmas morning." Each year the faculty and staff of Denver Seminary put together a devotional for the Advent Season. 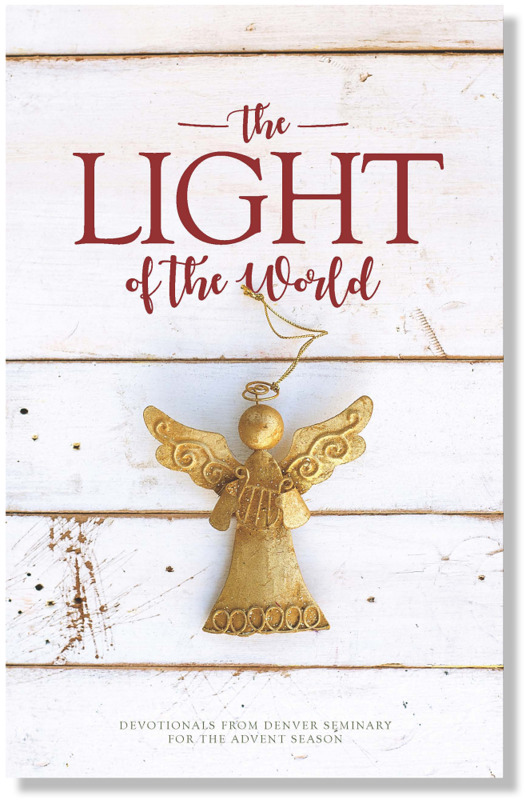 This year’s devotional, The Light of the World, reminds us that Jesus brings light and hope to every dark and disparing heart. The devotional, which will walk you through each day from December 1st to the 25th, is available online. We hope you enjoy this gift from Denver Seminary and that it is a blessing to your Advent season!